Review The performance of compact cameras has greatly improved over the years, largely as a result of advances in auto technology. Improved autofocus, white balance and exposure systems mean that most pictures will turn out sharp and correctly exposed, while face- and smile-detection systems mean you're more likely to snap your subject’s face rather than the tree behind. But you know what? Even with all these advances, there are still times when shooting in auto mode produces less-than-satisfying results. There are, of course, various features that can increase the odds of getting optimum picture quality, such as auto bracketing. 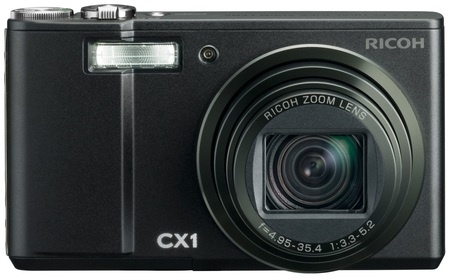 But Ricoh has taken this a stage further with the launch of the CX1. It’s a camera with so many fail-safe features that we’ve dubbed it the Careful-Cam. Not sure if your shot is correctly focused? Why not use a system that shoots seven consecutive shots at different focal lengths to ensure that at least one of them is pin-sharp? And there’s more technology like this lurking under the CX1’s body. But is it all worth the effort or simply marketing hype? Let’s consider the evidence. 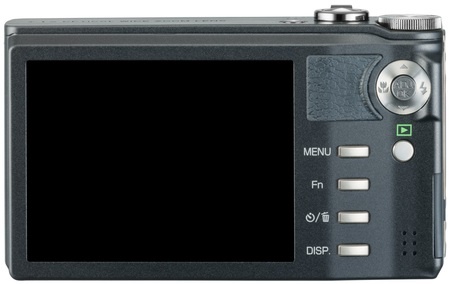 Ricoh has gone for a minimalist design with the CX1. OK, that’s a posh way of saying it has a rather austere look about it. At the top is a small power button, shutter, zoom lever and mode dial. At the back is a large, 3in LCD screen with 920,000 dots; Menu, function, self timer/delete and display buttons arranged vertically; and a tiny joystick control. Press the centre of the joystick and you can quickly make adjustments to parameters such as ISO speed and white balance; pushing the joystick lets you change the flash and macro settings. On the right is a tiny flap covering a mini USB port, and at the bottom, a flap for a lithium ion battery and SD/SDHC card. In terms of size, the CX1 is certainly pocketable, but it does look a tad wide compared with many of the slimline cameras on the market. Its dimensions are 101.5 x 58.3 x 27.9mm and the weight with battery and card is around 200g.